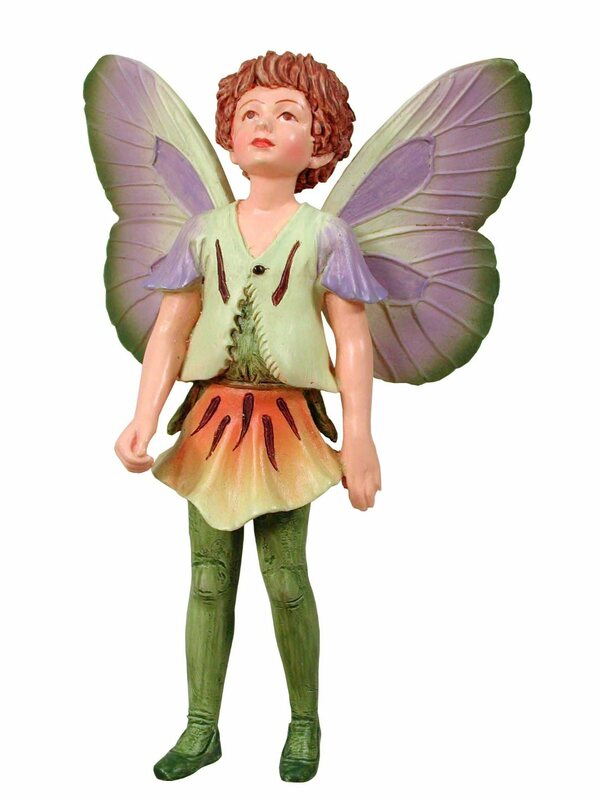 Beautifully hand painted Baby Sweet Pea Flower Fairy figurine. Optional gold string and wire pick included for securing in your display. Individually packaged in its own window display box that includes a biography of the artist, Cicely Mary Barker. the brother of them all!